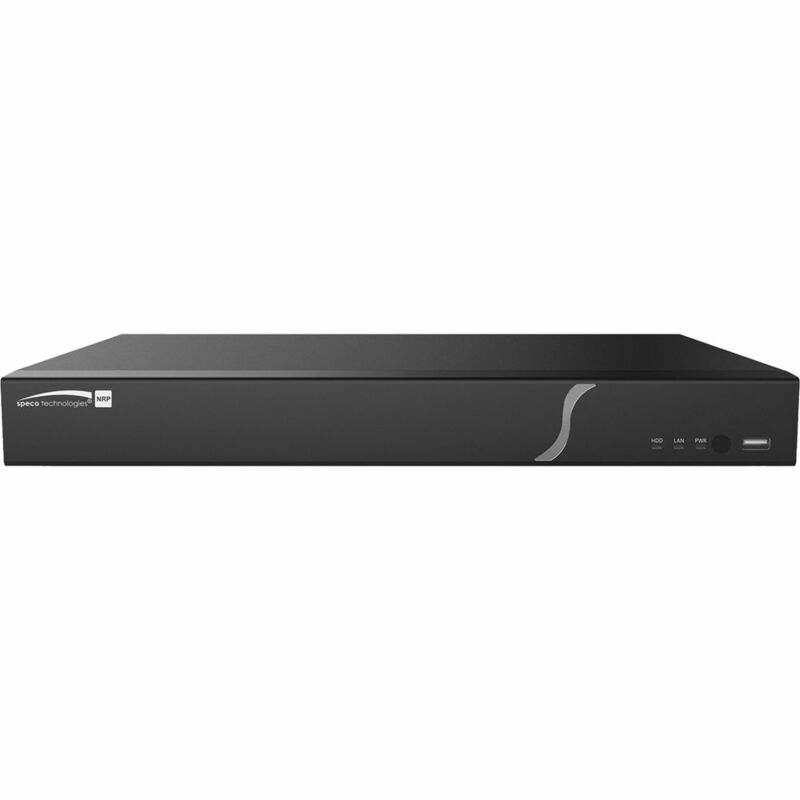 Record from and manage up to 16 cameras with the NRP Series 16-Channel 8MP NVR with 8TB HDD from Speco Technologies at resolutions up to 3840 x 2160. Preinstalled with 8TB of HDD storage, the recorder can be expanded to host two HDDs up to 8TB each for a maximum internal capacity of 16TB. H.265 and H.264 compressions keep file sizes manageable while maintaining the best quality possible. Two-way audio communication is supported.